Currently lusting over a brand called Kerold D Apparel that I discovered thanks to Dietrch PR. 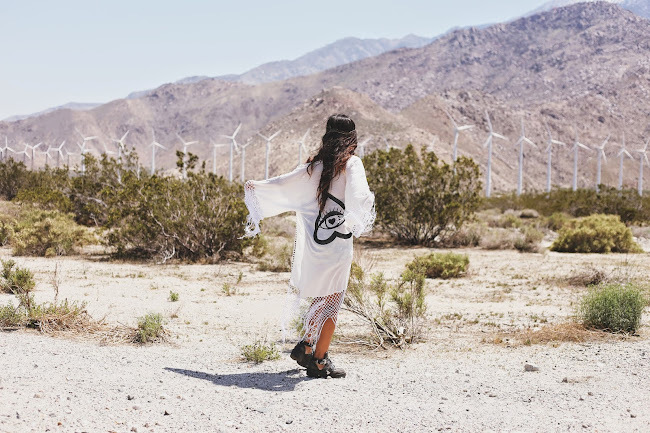 I'm wearing the Alyssa Eye kimono and every piece I have seen by the brand speaks to the desert gypsy child in me. As if kimono jackets didn't win me over already, the eye decal, studs, and detailed embroidered fringe makes the piece so much fun to wear. 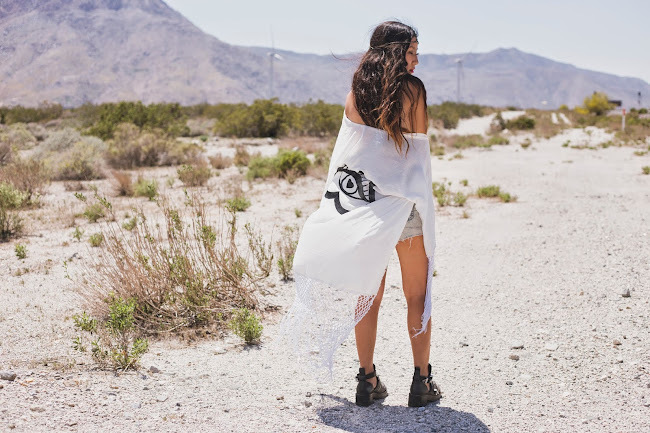 I wore this on the way back from the desert and wearing a crochet halter top under the kimono felt so relieving. No shame in wearing those Coltranes to death. They've saved my feet while trekking around the desert and I'm forever grateful they are still intact with the carelessness I handle my shoes. Love the hair and head piece! I'm really impressed of this outfit and amazing pictures! Awesome kimono! This kimono is so cool!!!! Amazing dear!